Africa Harvest Mission (AHM) was established shortly after the genocide of 1994 when more than one million people lost their lives in a hundred days. AHM began under a tree in a rural village in eastern Rwanda where Pastor Patrick preached "unity" and "hope". As AHM churches grew the ministry developed the capacity to establish social development programs for vulnerable women and later, Bright Future School for vulnerable children and orphans. Education. However, simply providing education is not enough; delivering education without providing the basis of a moral compass can result in evil as easily as it can result in good. For this reason, the teachers and administrators of Bright Future School are proactive in building a generation “driven by Christian values of love and care to humanity”. Getting Started. AHM started with the youngest children, operating four elementary schools in the rural eastern countryside. They recently purchased a parcel of land to establish a boarding school for secondary students (grades 7 – 12). The location, closer to the capital, is where they hope the students will be stimulated and motivated to use their education actively in their community and become Christ-centered leaders of tomorrow. AHM’s boarding school will ultimately have three classes per grade with a capacity for over 700 students. The environment is to be as much about nurturing community as it is to be about imparting an education. It will be a place to foster discipline in life as much as discipline in the classroom. Step By Step. 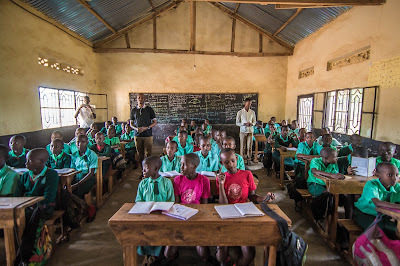 To account for the fundraising process as well as gradually taking on children they are nurturing through elementary school, the secondary school will be built in phases and account for the increasingly sophisticated and complex nature of the education system as well as the construction industry in Rwanda. Before navigating the labyrinth of building codes and district and industry requirements, AHM needed a team of design professionals to help establish a master plan and the character of the school; they needed to know each step taken and dollar spent will lead them toward their objectives. When AHM’s American partner, Africa Bright Future Ministries (ABFM), found out about EMI, they applied to receive one of our multi-disciplinary teams. Partnership. 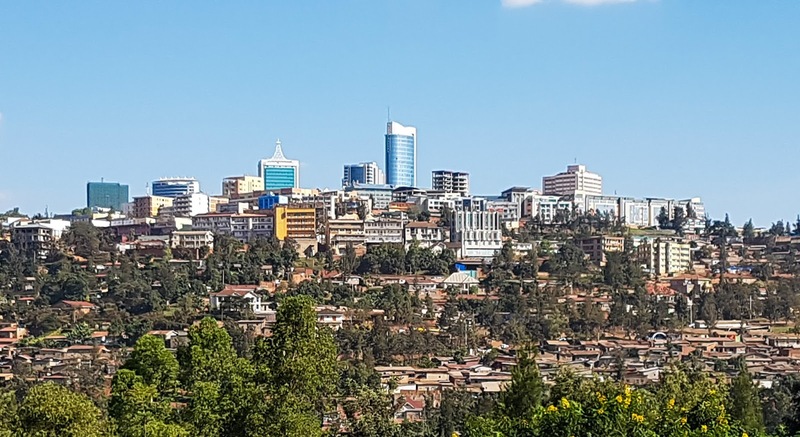 Our EMI team consisted of architects as well civil, structural, electrical, and geomatics engineers from Rwanda, United States, and Canada. Our Rwandese members were instrumental in helping our team understand the local culture and the construction context. We enjoyed each other’s company and laughed a lot, but also worked side-by-side with professionalism to provide AHM the planning that it needs to operate an effective, cost-efficient, sustainable, and beautiful secondary school campus. Deliverables. Now back in our respective homes, emails continue to fly across time zones as we coordinate our writing and drawing to produce our Final Report and Drawings. Empowered with new knowledge and confident their vision is achievable, AHM will use these documents, which capture our proposals and provide a variety of technical and budgetary options, to further engage local design professionals and government officials in the process toward constructing their new campus. Photos. 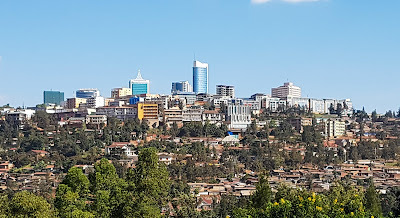 I have uploaded a series of photos of our time and work in Rwanda. Click here to jump to the gallery. Thank you for coming alongside EMI and our family. Your support enables me to lead such projects and in turn, my involvement creates opportunities for interns and volunteers and ultimately, impact is felt by the children, families, and communities served by the organizations with whom we partner.